The Most Exciting Parcel; chapter two. ← The Most Exciting Parcel; chapter one. Away went my precious doll-making book. And away went I to university. There followed some bleak doll-making years whilst I filled my time with music and study and singing and making friends and learning to live away from home. I think I made perhaps two dolls in all of that time, and they were simple ones from them envelopes of patterns I kept. 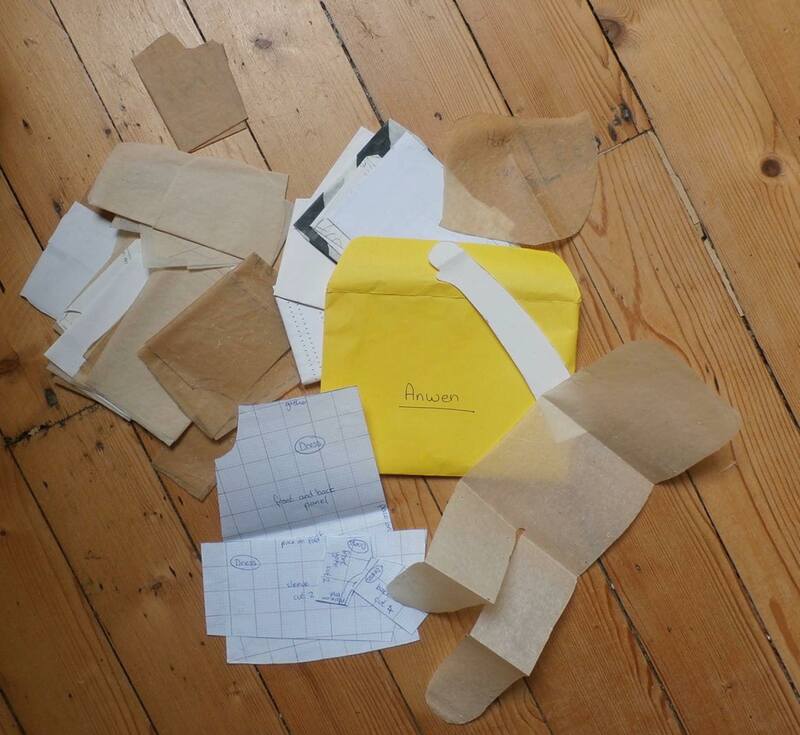 Even though my book had been lent to a friend, I still had the paper patterns I traced, cut out and kept in envelopes. There were many pattern for clothes which I adapted and designed, some more successful than others. I still keep these now. 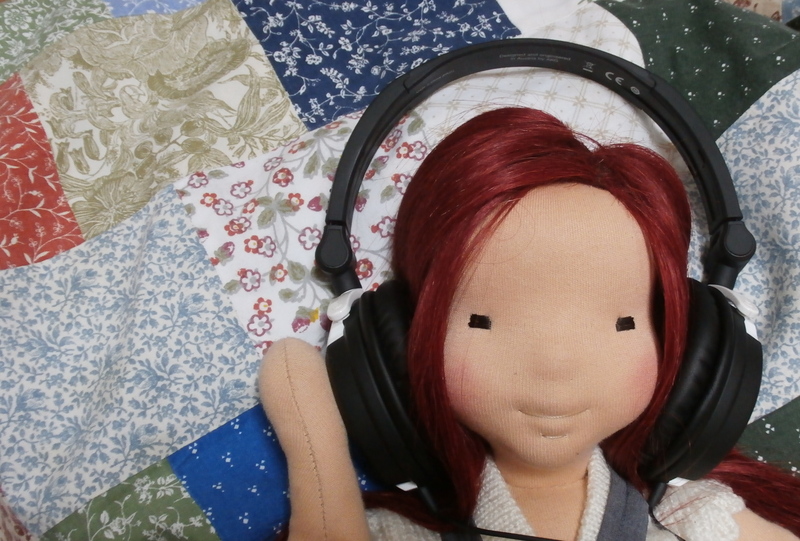 So time passed, six years went by and I wanted to make a doll for a friend. This one would be dressed in the romper suit that was included in my special doll-making book but which I had never tried making before. Where was that book now…oh yes, I’d lent it to my friend. Who was now at university too and did not remember it. Did her parents know anything about it? No, they had had a lot of work done on their house and had cleared out a lot of things a few years ago. No, they had no memory of an orange doll- making book in Swedish. Did I remember the title? Or the Author? An ISBN number? Nothing? In those days when the internet was still young and online selling platforms had not yet taken off, there seemed little hope of ever finding that beautiful book again. I felt a huge sense of loss. If I had only asked for it back a little sooner (six years is a long time to lend something, perhaps a week would have been better?) it might not be lost now. Time passed again, I got married and our first child was born. Perhaps he would like a doll? I took a deep breath, and searched for a new pattern book, a different one, perhaps even in English this time. 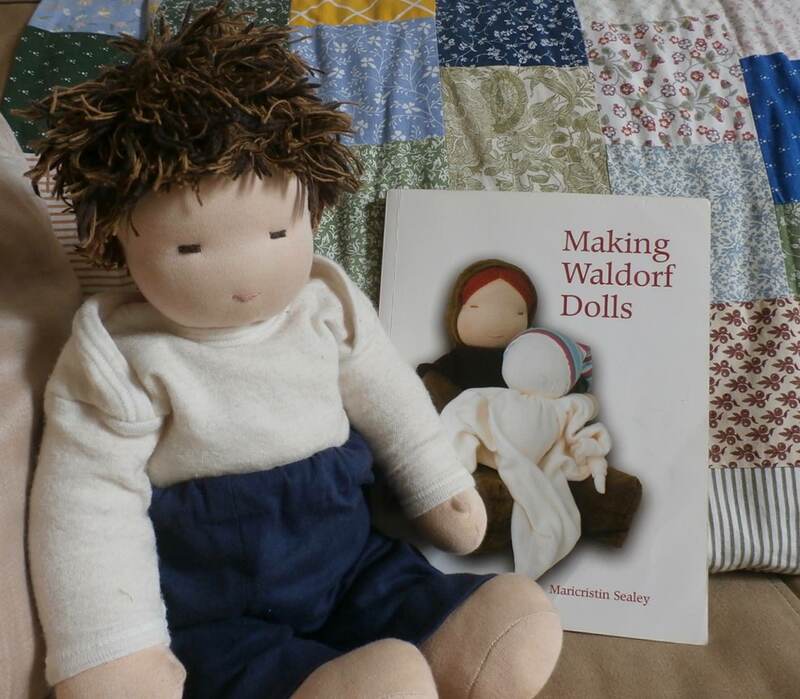 I found ‘Making Waldorf Dolls’ by Maricristin Sealey, picked up my needle and thread and made Peter for my son. Baby number two came along and she needed to have a doll also, this was only fair. 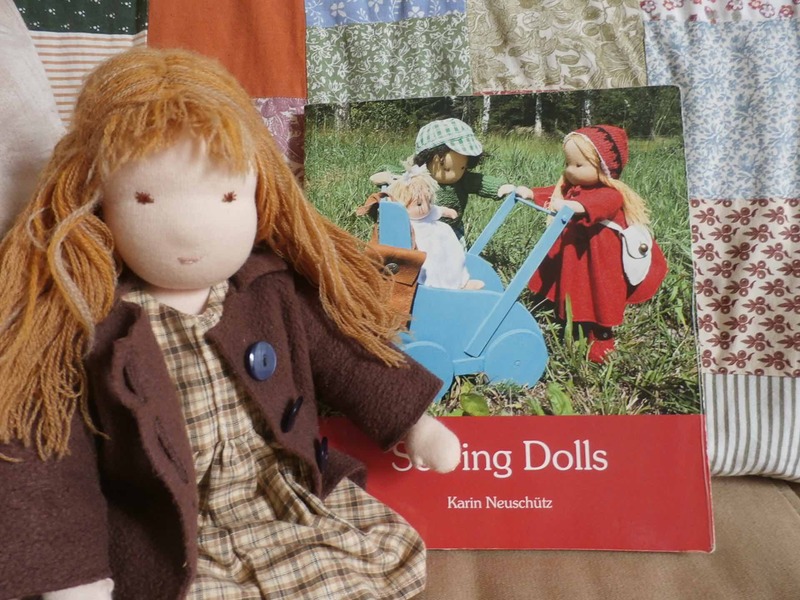 This time I bought ‘Sewing Dolls’ by Karin Neuschutz and I made Jenny for my daughter. When our third child was born I had great plans for starting a mini business selling dolls that I had made, but a busy life and sleep deprivation left me with little brain space to devote to it. I confess that I still have not made a doll for our younger son. And each time I picked up my pattern envelopes I wondered about that book I had lost. If I closed my eyes I could remember the illustrations and turn the pages in my mind. Maybe with so much to be found online these days I could take up the search again? An engrossing story Hannah, what happens next ?